1. 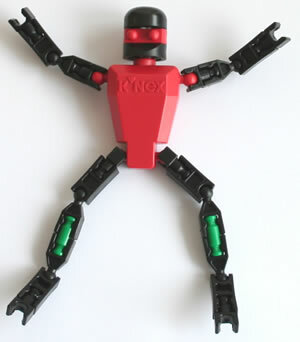 To select gift wrapping for any K'NEX set, tick the the option box marked "Giftwrap", just above the [Buy] button for that set. Then click on the [Buy] button itself. 2. On Checkout page 1 of 3, enter some suitable text in the "Any personalised message for recipient" box . This text should include the recipent's name. For example "Dear Sam Hope you have a lovely Christmas Love Granny and Grandad". 3. You may also wish to select "Hide prices in packing slip" on Checkout Page 1 of 3. 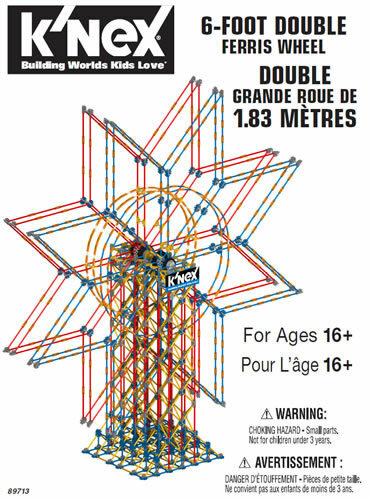 This means the recipient will not see how much you paid for your K'NEX set. 5. We always use coloured, plain wrapping waper, as K'NEX sets are sometimes bought for Christmas, and sometimes for birthdays or other occasions. 6. 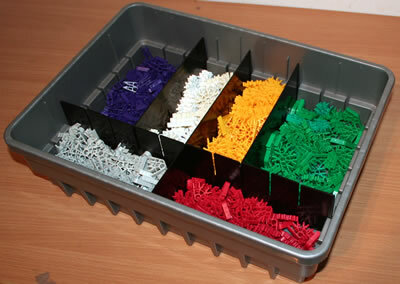 If you select more than one K'NEX set in a single order with the "Giftwrap" box ticked, the sets will be wrapped indvidually, each bearing the same personalised message, unless you email us with alternative instructions at the time of order. Please email us if you have any enquiries about our gift wrapping service, or any suggestions for improvements.